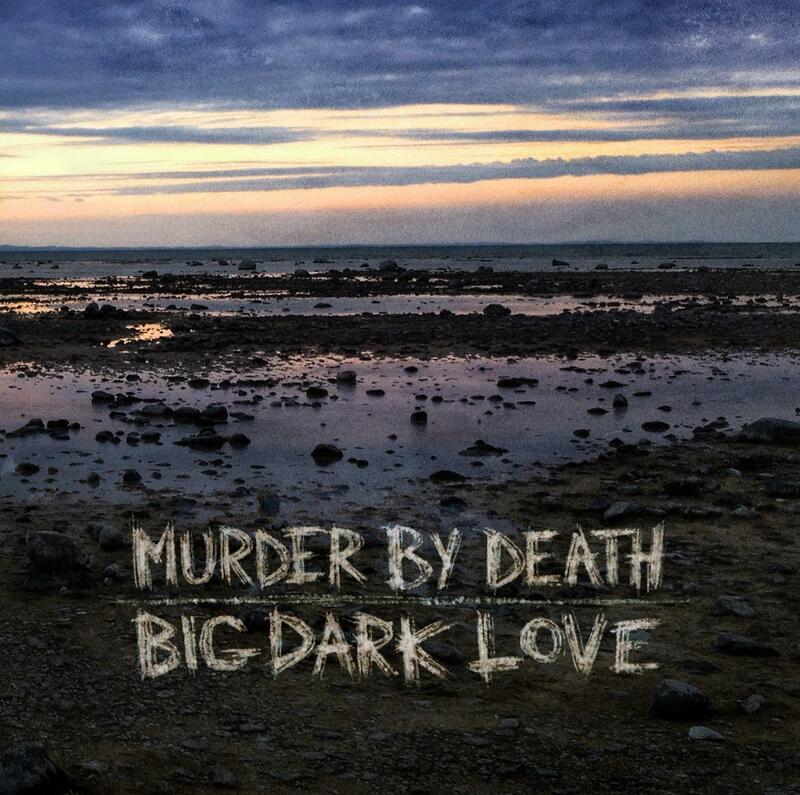 Big Dark Love reflects a different, bigger, and more complex side of the band. As hinted in the title, the 10 songs circle a central theme of love, only in this case, the oft-traveled topic is examined through a non-traditional kaleidoscope: the love of a parent for their child, the struggle between unconditional love and morality, loving to excess. There can sometimes be a dusky patina of despair overlaying glints of hope. For a band that has built its formidable, near 15-year career around a consideration to tension, release, bombast, ecstasy, and highest-highs vs. lowest-lows, it is something to say that this is Murder By Death’s most dynamic release to date. Sonically here, their signature sound – rootsy indie rock, cinematic gothic ballads, and rousing pub rock shout-alongs – mixes with enlivening new stylistic elements – touches of pop, synth-y electronics, and psych rock – only hinted at on previous albums. Big Dark Love was recorded at La La Land in Louisville, KY in the summer of 2014. It was produced by Murder By Death and Kevin Ratterman, and mixed by John Congleton. Make no mistake, this isn't just some assemblage of hipsters ensconced in an archaeological dig disguised as "rock & roll", this is what future generations will be pulling out of OUR time capsules to prove that we weren't complete idiots, if I have anything to say about it. What we have is an album that, in the span of ten songs, does what we secretly wish all albums would do: slay us, engross us, make us feel that our taste in everything until now has been somehow inferior, but is now finely honed to perfection, We are a better person from the moment that Big Dark Love's sly melodies and back-country wordplay begin to wash over us. As the title promises, it is big and dark, swampy and slithery, nasty and grimy, morbid and scary; yet, at love’s nucleus, there is transcendence and beauty. Murder by Death deliver an orchestral Roots masterpiece. Murder by Death bring a perspective that's honest and heartfelt, and it's a reminder why this group is still one of the most powerful Hoosier acts around. Big Dark Love is brilliant where many MBD albums also thrive: in setting a stage. The textural expansion allowed by the addition of multi-instrumentalist David Fountain, coupled with a more comprehensive production approach, serves this end. For a band with an already strong discography, they still manage to expand their sound and create even better songs. Brilliantly weaving in various vignettes, stories, and elements as parts of a larger narrative, with every song earning its own odd place. And it’s all scored by the band’s ever-evolving style of gothic folk rock that is some parts macabre, other parts upbeat waltzes, and all parts drinking tunes (whiskey, of course). 'Strange Eyes' taps into the same reserve of acid-fried energy that powers psych-rock bands like Spiritualized and the Black Angels, adding some intriguing drone to the mix before exploding the whole thing with some rousingly triumphant guitar heroics.